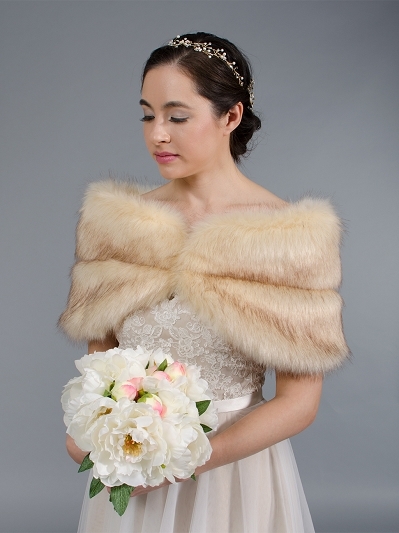 This is a beautiful ivory faux fur wrap bridal shrug which is fully lined. There is a hook and eye closure in the front to fasten the wrap. It's perfect for wedding or other special occasions. XS size, 34.2" between hook and eye closure in the front (Ivory XS is in stock, white XS is made to order and the lead time is 3 weeks). It fits a shoulder width 14" or smaller. This was smokin''! It totally evoked the classic elegance that I wanted. I also hoped it would keep me warm--it did somewhat. 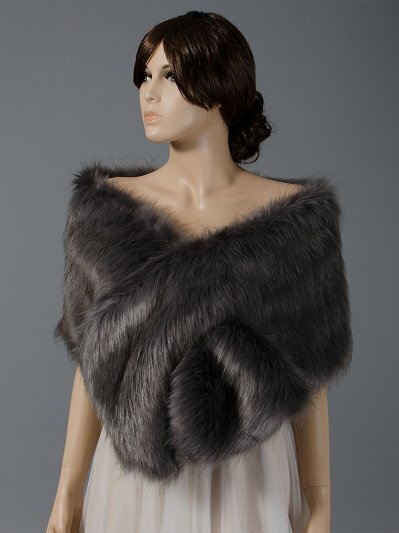 So if you''re looking for a stole to keep you warm, you may consider something else. 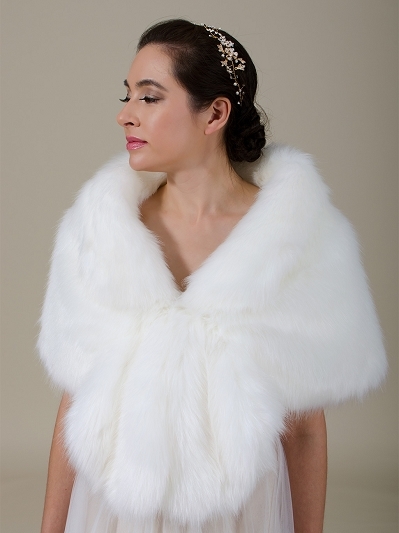 But if you''re wanting to look dramatically elegant, then impress your guests with this stole! Even my photographer insisted that I take tons of shots with it on. Looked absolutely beautiful with my wedding dress! Great quality, very soft, and so elegant. I am so happy I got this shawl! 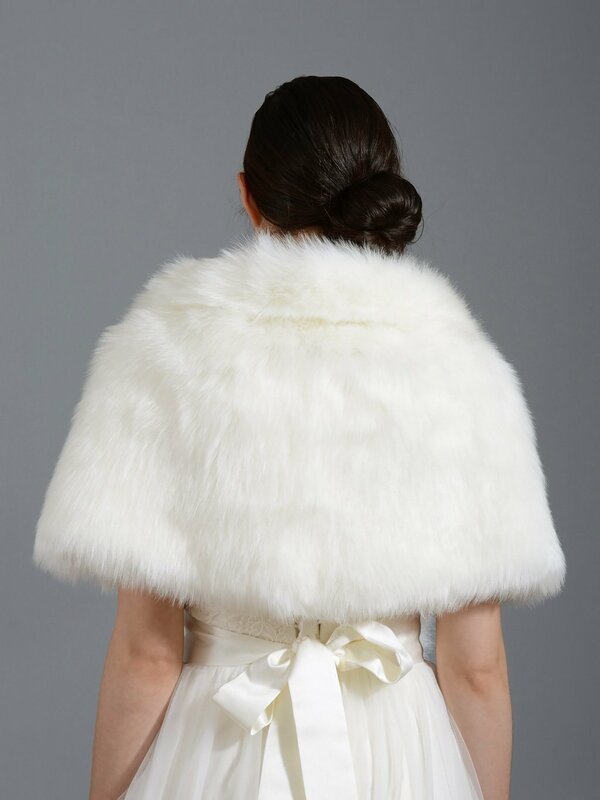 Great Wrap for my winter wedding! Beautiful! 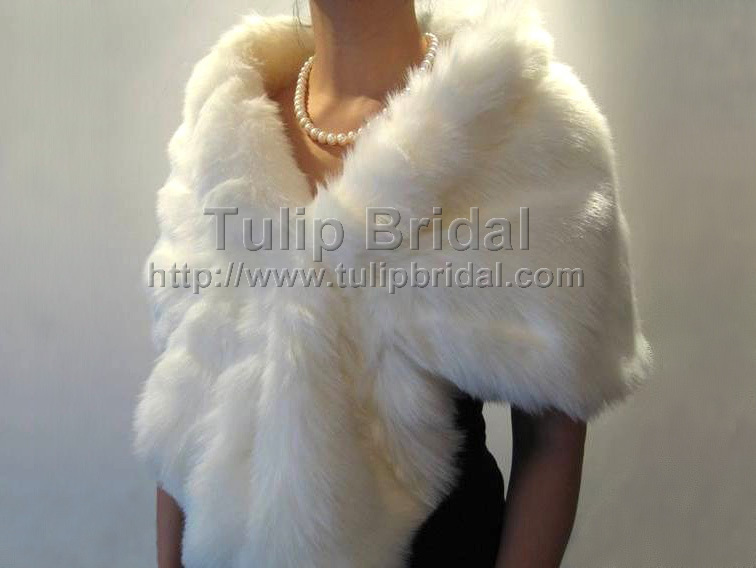 Must have for my winter wedding! Can''t wait to wear it! I received my order thank you it was perfect; and thank you for the speedy delivery.